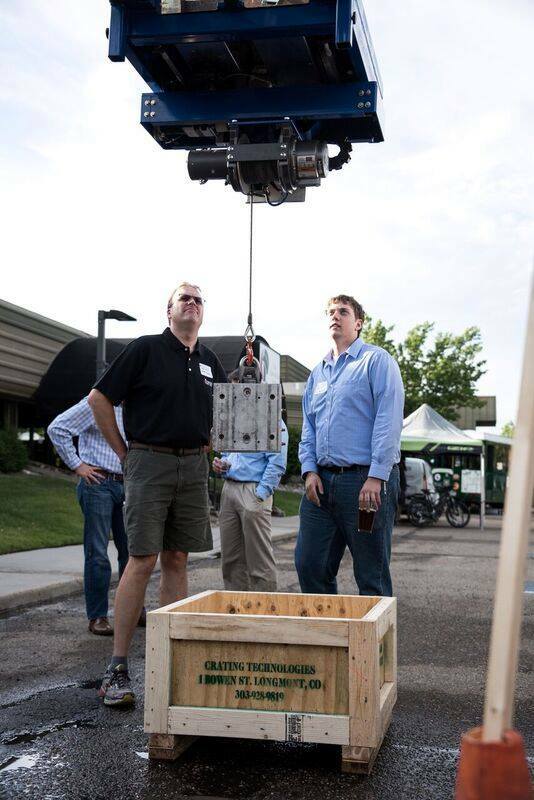 The 2nd annual PEAK convention put on by the Longmont Chamber of Commerce was an amazing opportunity to showcase the Longmont manufacturing community. 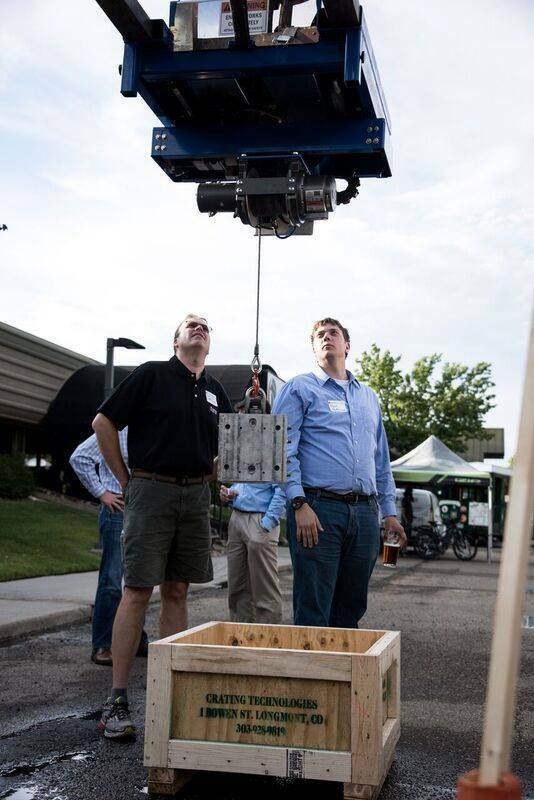 Integrated with Longmont Startup Week, PEAK allowed us to introduce ForkCrane™ to our local community. We, again, rented the biggest telehandler forklift we could find (thanks Interstate Rentals!) 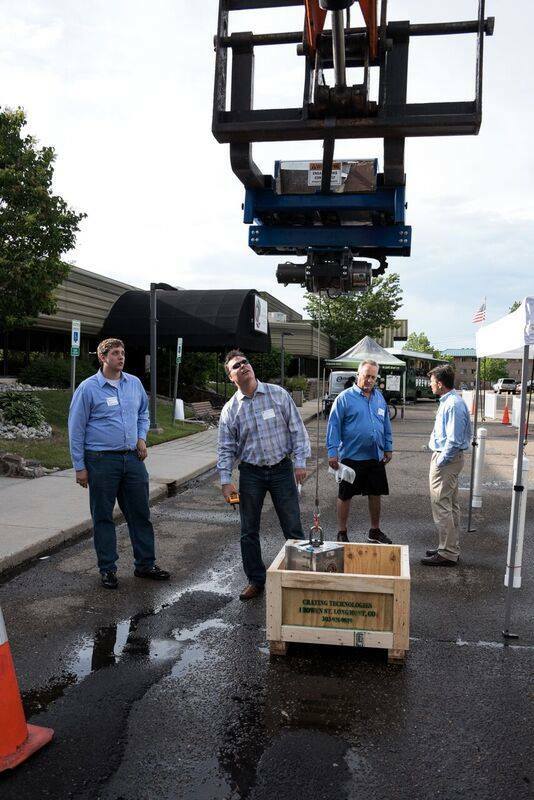 and set-up our demonstration outside to give PEAK attendees the opportunity to use ForkCrane™ and see it in action! Our friends at TinkerMill and HomeState Bank were in the building and we were proud to support the Longmont manufacturing community. With advanced manufacturing only growing here in Colorado, we can't wait to see what PEAK 2017 will bring!